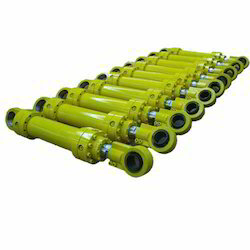 Providing you the best range of large bore & stroke hydraulic cylinder, bolted design hydraulic cylinder, industrial hydraulic cylinder, tie rod type hydraulic cylinder, heavy duty hydraulic cylinder and welded design hydraulic cylinder with effective & timely delivery. In order to append and respond to the diverse requirements of esteemed clients, we are able to offer Large Bore & Stroke Hydraulic Cylinder. The offered range of large bore & stroke hydraulic cylinders is made utilizing high grade raw material and innovative technology in strict compliance with the international quality norms and standards. Along with this, the offered range is known for its sturdiness and durability. In order to append and respond to the diverse requirements of esteemed clients, we are able to offer Bolted Design Hydraulic Cylinder. 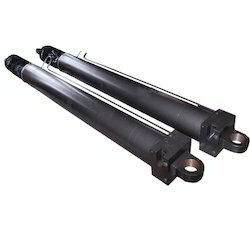 The offered range of hydraulic cylinders is manufactured utilizing premium grade raw material and innovative technology that are handled by diligent personnel. Along with this, the offered range is best suited for usage in engineering vehicles, punching, coin pressing and many more. We are able to gain immense expertise in delivering Industrial Hydraulic Cylinder at clients' premises. The offered range of industrial hydraulic cylinders is available in different customized specifications and forms as per the diverse requirements of valued clients. Along with this, the offered range is made using premium grade metal, procured from reliable vendors of the market. This range is also applicable in fine feed or high speed, fluid power for pushing & pulling, static & dynamic load and short/long strokes. Recommended for tie rod, bolted and welded types of construction. 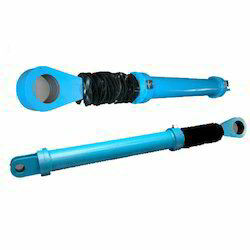 We are readily engaged in delivering Tie Rod Type Hydraulic Cylinder to respectable clients. The offered range of tierod type hydraulic cylinders is made utilizing high grade raw material and innovative technology in complete adherence with the industry laid norms and standards. Along with this, the offered range is ideally applicable in different areas such as machine tools, general engineering, food and processing industry. The offered range is also ideal for earth moving applications. We are an eminent name, which is engaged in delivering Heavy Duty Hydraulic Cylinder to honorable clients. The offered range of heavy duty hydraulic cylinders is made utilizing high grade raw material and modern machinery in strict compliance with the international quality standards. 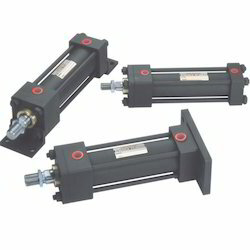 Moreover, the offered range of heavy duty hydraulic cylinders is ideal for configurations along the lines, engineering vehicles, punching, coin pressing and allied. 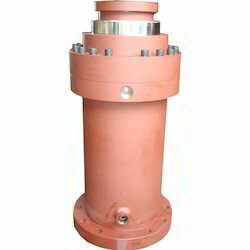 Our customers can avail Welded Design Hydraulic Cylinder from us. 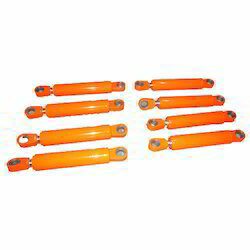 The offered range of hydraulic cylinders is made utilizing high grade raw material and innovative techniques in strict compliance with the international quality norms and standards. Along with this, the offered range is used for machine building industrial segments. Available with low friction seals, the offered range is highly acclaimed in the market for its durability, reliability and high performance.